We are the leading manufacturers and exporter of Universal Indicators Weighing Indicators and our product is made of good quality. 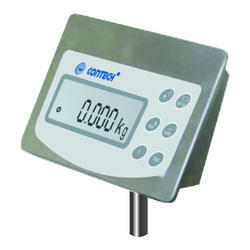 In addition to this, our weighing indicator has the selectable weighing capacity and least count through the keyboard. 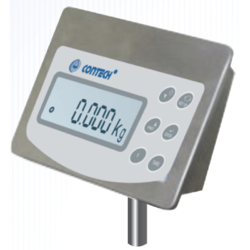 Our weighing indicator is available in numerous specifications at competitive rates. 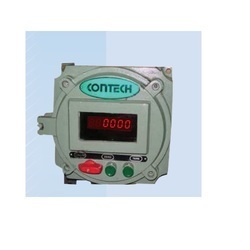 We are the leading manufacturers and exporter of Batch Weighing Indicators and our product is made of good quality. Backed by a team of creative and skilled engineers, we are highly engaged in manufacturing, exporting and supplying an excellent range of Batch Weighing Indicators. Offered weighing indicator is manufactured by using optimum grade component and the latest techniques by our skilled professionals. 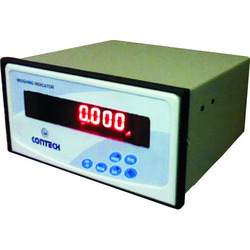 This weighing indicator has full digital calibration through keyboard enabling easy replacement of indicator. 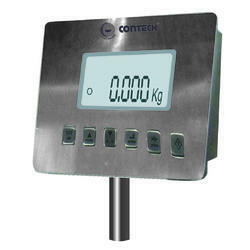 Also, this weighing indicator is well tested by experts so as to deliver a defect free range from our side. We are the leading manufacturers and exporter of Flameproof Indicators and our product is made of good quality. We are instrumental in providing our clients a comprehensive range of Flameproof Indicators. This flameproof indicator is manufactured with ultra-modern manufacturing unit using quality approved material and progressive technology in adherence with defined quality standards. Our offered flameproof indicator is provided in several specifications according to the demand of customers. Our flameproof indicator is highly admired in the market for its excellent quality. We are the leading manufacturers and exporter of Stainless Steel Indicator and our product is made of good quality. We are highly appreciated for offering our clients the best Stainless Steel Weighing Indicators. We are the leading manufacturers and exporter of Waterproof Indicator and our product is made of good quality. We are the leading manufacturers and exporter of Wireless Indicator and our product is made of good quality. Keeping in mind divergent demands of the clients, we offer these products in different specifications. 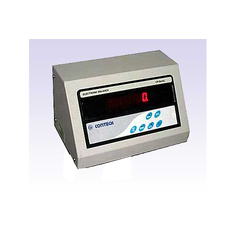 Looking for Weighing Indicator ?